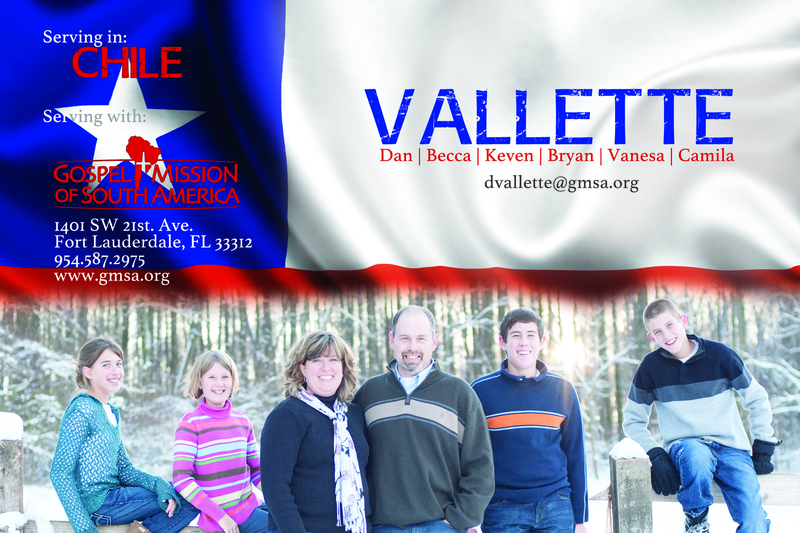 After finishing furlough and additional deputation in mid 2015, the Vallettes moved to Chile in order to oversee the ministry of Camp Pirque near the capital city, Santiago. The camp is within one hour driving distance of a population of 8 million souls, and it has almost unlimited potential to help the nearby churches. They have made major progress on the camp facilities and ministries since their arrival. Soon, a local church will be planted using camp facilities because the growth of the surrounding community is very rapid and a new church is necessary there.